Last year, we announced the release of the financial industry’s first fully hosted, machine-learning-powered solution for trade surveillance and compliance, TT Score (Make Surveillance Smarter and Eliminate Blind Spots With TT® Score). Some companies may have rested on their laurels after introducing such disruptive technology, but we simply love to innovate here at TT. That is why we are proud to announce that we have now completely redesigned TT Score to be faster and more powerful than ever before. 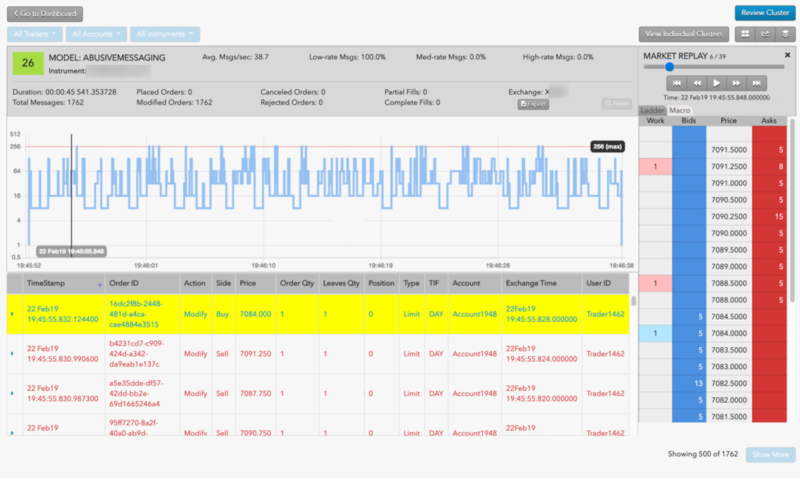 A single screen that includes order audit trail data and award-winning visual tools, which are now synchronized to update simultaneously while replaying trading activity. Learn more. An exact replica of MD Trader® for replaying trading activity, with market data available for nearly every major futures market in the world. Learn more. A chart for rapid assessment of the trader’s pattern of activity and any corresponding market reaction. Learn more. A fully integrated case management system that allows users to open investigations, document findings, upload attachments and track progress through final disposition. Learn more. If you’re a compliance or risk professional, contact your TT Sales or Customer Success representative and request a trial to experience the most advanced trade surveillance offering in the futures industry for yourself. If you’re an individual trader on the TT platform, you can start using TT Score for $250 per month. 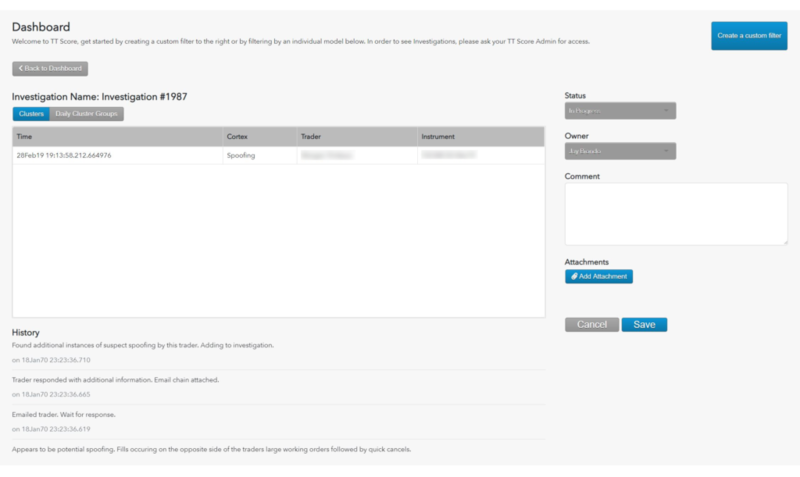 Just contact your TT administrator and request that they activate TT Score by checking the “TT Score User” checkbox in the Setup console. If you’re using TT but you aren’t a managed user, you can activate TT Score yourself by logging in and clicking on “Score” in the TT title bar; no setup is required.